[PDF] Power Prospecting: Cold Calling Strategies For Modern Day Sales People - Build a B2B Pipeline. Teleprospecting, Lead Generation, Referrals, Executive Networking. Improve Selling Skills. | Free eBooks Download - EBOOKEE! [PDF] Power Prospecting: Cold Calling Strategies For Modern Day Sales People - Build a B2B Pipeline. Teleprospecting, Lead Generation, Referrals, Executive Networking. Improve Selling Skills. Posted on 2017-10-20, by luongquocchinh. 2018-01-30[PDF] The SEO Battlefield: Winning Strategies for Search Marketing Programs. 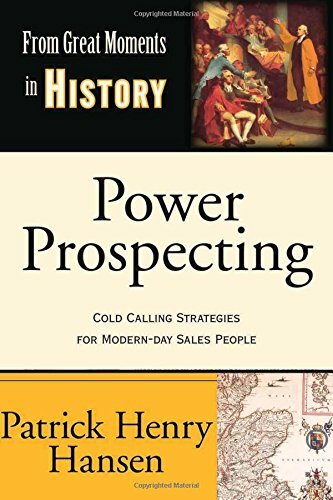 No comments for "[PDF] Power Prospecting: Cold Calling Strategies For Modern Day Sales People - Build a B2B Pipeline. Teleprospecting, Lead Generation, Referrals, Executive Networking. Improve Selling Skills. ".